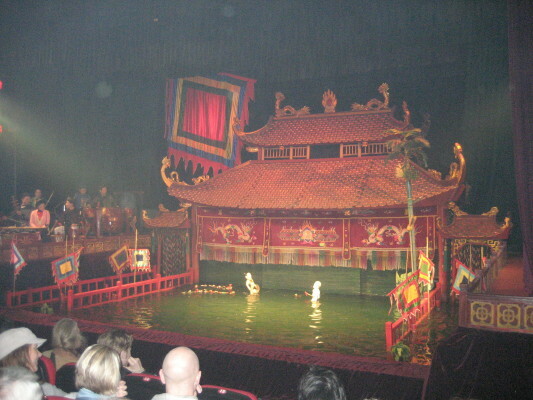 Before we left on our trip to Halong Bay I had booked tickets for the Water Puppet Theater for the evening we returned. I read a little about the Water Puppets and thought the kids would really enjoy the show. The Water Puppets are actually puppets that perform in water. 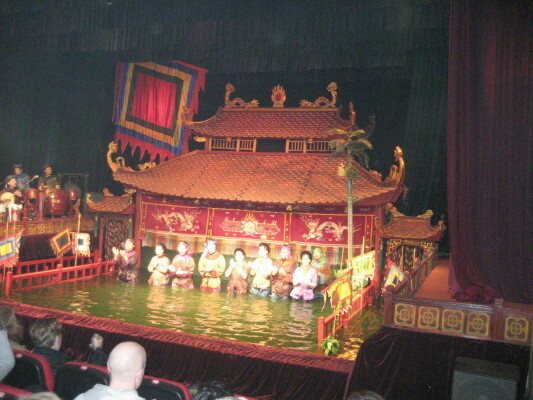 If you are interested in the history of water puppetry in Vietnam check out this link. We were pleasantly surprised by the music and the show. It was a combination of traditional Vietnamese singing and instrument pieces along with a spectacular wooden puppet show in the water. We took some pictures, but it was quite dark and our camera didn't really cut it. After the show we headed to a lovely little French cafe for dinner. 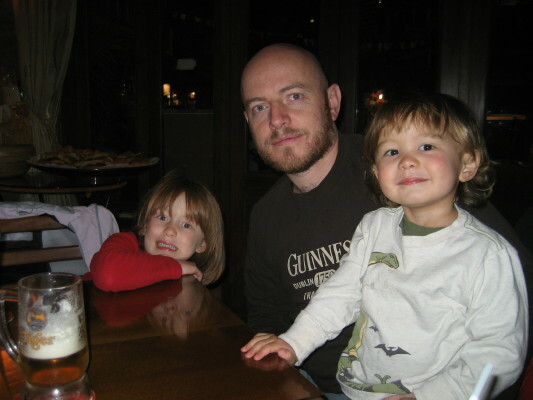 Jonny and the kids waiting for their food. Angus is now obsessed with Tiger beer! I wonder why??? We were all very tired from our trip to Halong Bay and the Water Puppets. Plus we had to do a little shopping in the morning before we headed to the airport to go south in search for the sun in Hoi An.